What a great weekend. The Pacific Northwest like conditions in late May in Arizona made for some great desert riding. 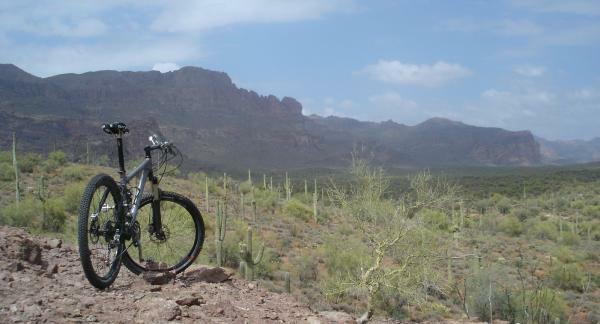 I spent Friday and Saturday exploring again out near the Superstition Mountains on Lost Goldmine Trail. After finding the awesome trail that shoots off Lost Goldmine last week, I headed back Friday afternoon to find the connector singletrack to Apacheland. I not only found it, I also found a family of Javelinaâ€™s on the trail. At least seven or eight of them went a running and screaming as I approached. They were gone before I could even get the camera out. Further down the trail I rode into Kevin, the local mountain biker who has been riding and maintaining these local horse trails for years. He took the time to show me around and led me to some sweet singletrack that heads north from Apacheland back to the LG Trailhead. Thanks Kevin! The find of the day though was the desert tortoise on the trail. Unlike the Javelinaâ€™s he was in no hurry to get out of my way. I snapped a few shots. Iâ€™ve mapped out a nice loop just south of Lost Goldmine. As I explore the area more, Iâ€™ll update the map. 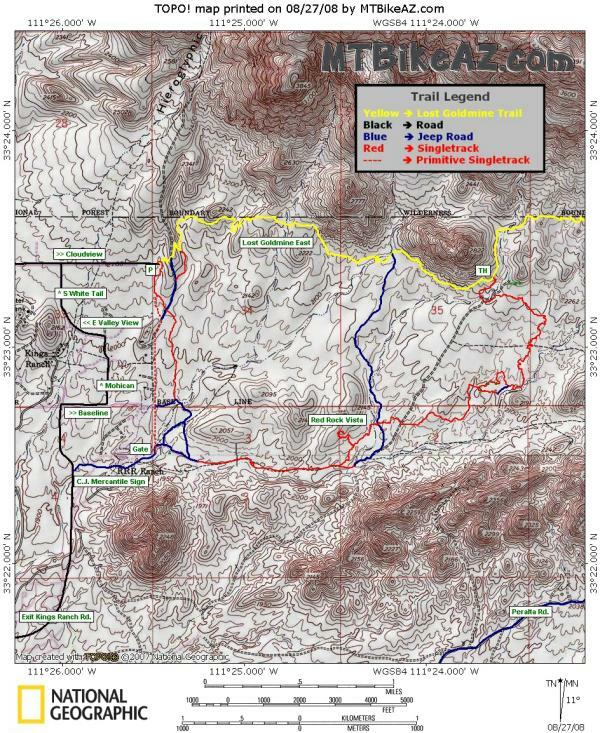 The land south of Lost Goldmine trail is State Trust land. A permit is required to ride in the are. So get your permit and get out and ride!